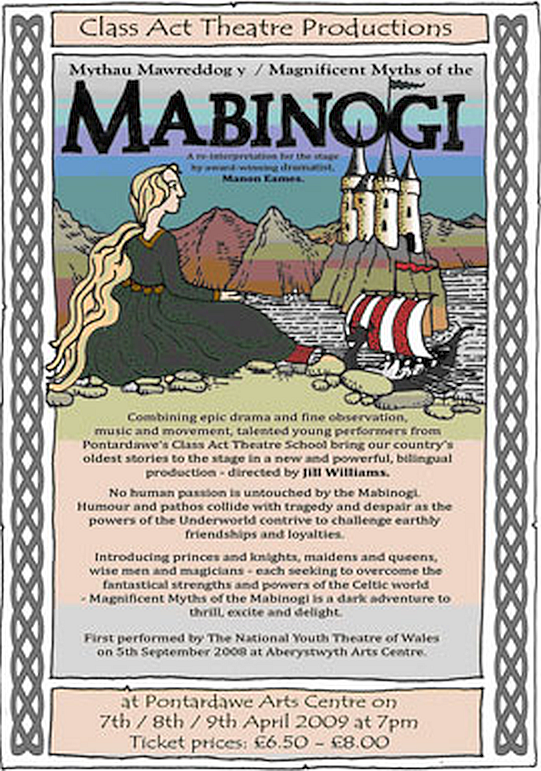 This is a major Mabinogi storytelling with a long term tour across Wales and southern England. Daniel Morden is the storyteller, His book Tree of Leaf and Flame won the Wales Books Council Tir Na Nog Prize in 2013. Oliver Wilson-Dickson – violin and Dylan Fowler – guitar, are nationally renowned for their passionate, powerful music. They have toured the UK with groups such as Jamie Smith’s Mabon and the Ian Macmillan Orchestra. REVIEW It’s always great to see the Mabinogi brought to life and especially welcome as a storytelling because that comes close to the original mediaeval tradition. To have live evocative music is also well within the tradition of mediaeval performance, and a truly delightful enrichment. Daniel Morden presents the Mabinogi in a simple, personal manner, appearing on stage in casual style in very ordinary shirt and trousers as if just back from the office. This is a surprise alert in its lack of historical context; its ‘street’ image is borne out by a simplified performance. As a storytelling its interpretation raises major issues about canon and creativity. 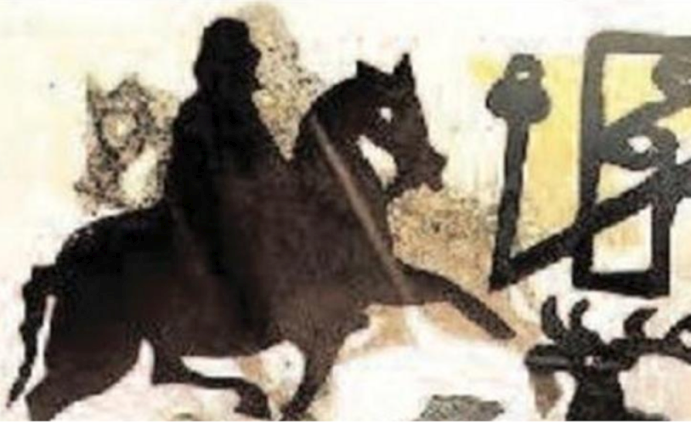 To take one small detail, Daniel Morden as storyteller has Rhiannon arriving riding a white horse “dressed all in white.” Now in the Mabinogi Rhiannon is richly arrayed in gold silk, specifically gold brocade silk. A small detail, but such details in the Mabinogi often have complex and extensive implications, as this one does. Gold brocade silk is an important linking motif in the Mabinogi. Rhiannon, her consort Pwyll, her rejected lover Gwawl, her baby son Gwri/ Pryderi, the hero child Lleu, all wear it. Their gold silk gives a thread of continuity between these people of wealth and enchantment, whose connections forms the essential structure of the saga. Silk was the most exotic fabric of all, traded from far Byzantium or Venice. It was so expensive it could only ever be worn by the top elite. Its shining appearance gave its wearers a magical, gleaming image, setting them apart from the ordinary, making them look more than human. The shining of silk is part of the superior perfection of Annwfn, and its ambiguous but undoubtedly intense effect on the Dyfed dynasty of the Mabinogi. Omitting this key detail is therefore an important decision. Rhiannon dressed in white becomes not so much a Mabinogi heroine marked out by affinity with other Mabinogi protagonists, as a classic romantic heroine, an Arthurian maiden in the Victorian style. Rhiannon was not a gentle maid in virginal white, so this could be a fascinating, radical innovation, a newly interpreted Rhiannon. Or it could be seen as an abuse of the original Mabinogi Rhiannon. No doubt this will strike readers and observers differently. That is just a small detail and perhaps I fuss too much about it because I am a Mabinogi scholar. The Tree of Leaf and Flame presentation of the Mabinogi also made much larger changes to the tales. Manawydan is completely deleted, and the Third Branch is led instead by Pwyll, who therefore does not die, and Rhiannon has only one marriage. This has the advantage of a major simplification of the story for a modern audience. It allows for a much more basic stripped version for those unfamiliar with the Mabinogi. But certainly in Wales, and to some extent in England, a tour is speaking to an audience who very largely come because they already know and love these traditional tales. Major simplification here loses characteristic Mabinogi subtlety in mirroring Manawydan and Pwyll, two consorts of the same woman, as very different and polarised characters. Pwyll is a successful warlord prince, while Manawydan is a failed one, who lives on the bounty of his friend, Pwyll’s son. Manawydan becomes a man of peace after surviving a genocidal war and losing his throne. He is a famous person in Welsh tradition, one of the Three Humble Chieftains of the Triads. Pwyll and his son are by contrast exemplars of the heroic nobility, arrogant and formidable fighters. Manawydan is a social outsider, able to adapt to changed circumstances by taking up trade, and then farming. The Mabinogi explores this major contrast with a sophisticated eye for social values. Is it worth losing the depth of this characteristic Mabinogi comparison technique, in order to boil the tales down to a simplified shortie? 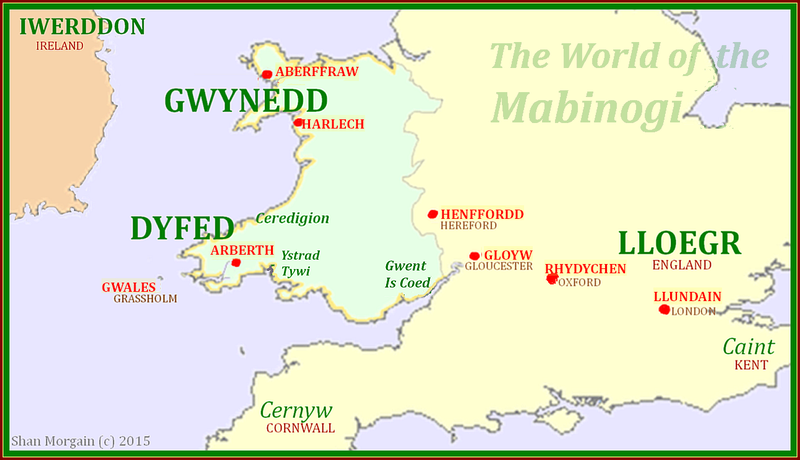 The loss of understanding by it of the Mabinogi is considerable, especially in terms of its tradition over the last four decades which emphasises its sophisticated use of parallels and polarities such as the Pwyll – Manawydan opposition detailed above. On the other hand perhaps we need to have versions of the Mabinogi which cater to audiences who have suffered from a recently depleted education system, and whose span of attention is often said to be reduced by the soundbites of modern media. Are people really unable to handle complex thinking these days? Should we adapt to this limited ability if it is so? It is interesting to see a new storyteller challenge the Mabinogi tradition. I look forward to seeing this issue opened up for discussion. The following year Jill Williams presented a slightly adapted version perfomed at the Pontardawe Arts centre by her own stage school Class Act. Like the original, the acting team were all very young, yet the depth and complexity of the performance was truly amazing. The set, using stage platforms on different levels; the atmospheric lighting, and the exquisitely appropriate costumes, all helped to take us into the timeless world of the Mabinogi. The setting was the tribal past, mediaeval Wales, and even by way of voice tones and quick asides, modern Wales. This is just as it should be, a composite made all the better by skilful use of both the Cymraeg and English. It is a great sadness that neither Eames mighty original, nor Williams wonderful continuance, was filmed. Let us hope this is staged again, and this time, caught on video.